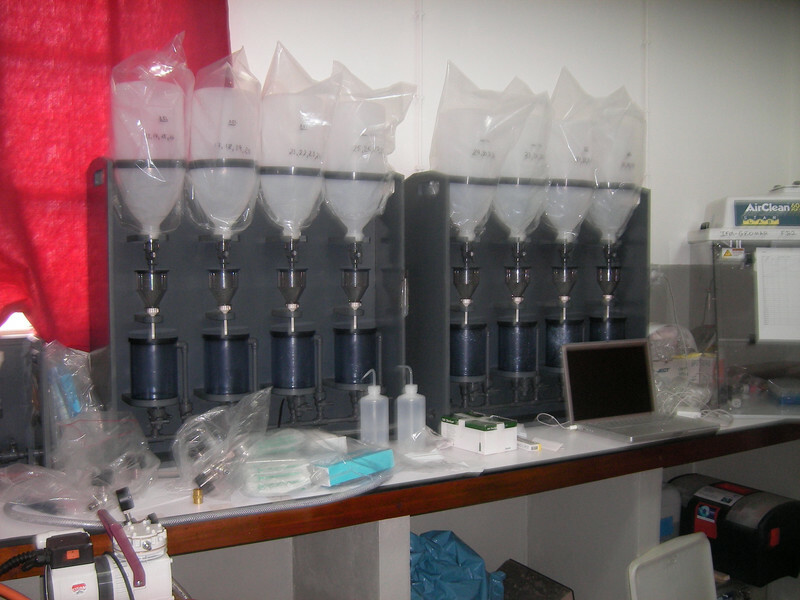 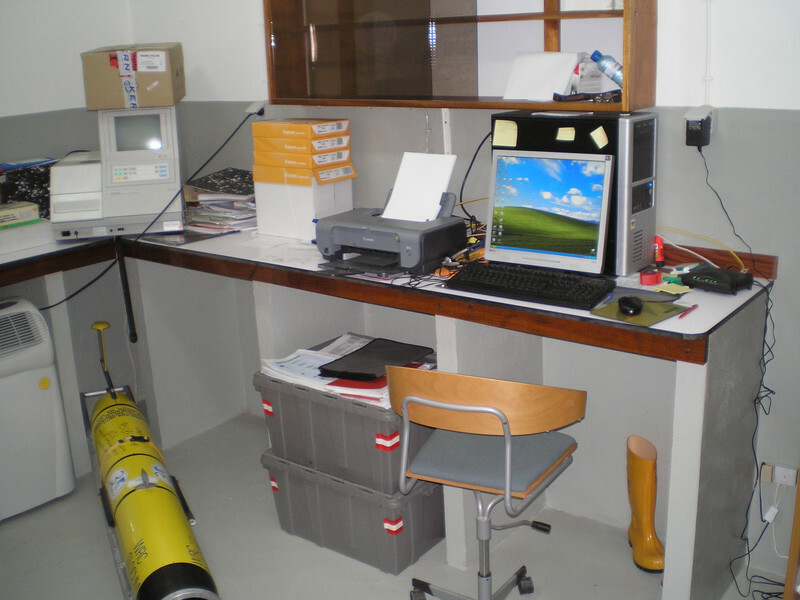 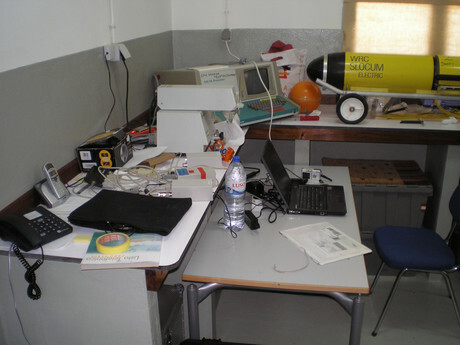 There is a CVOO laboratory at the INDP building in Mindelo. 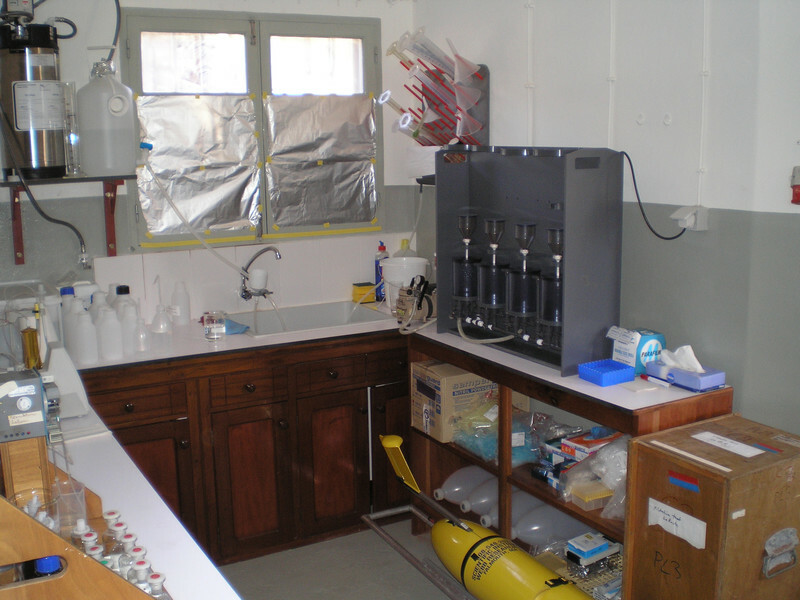 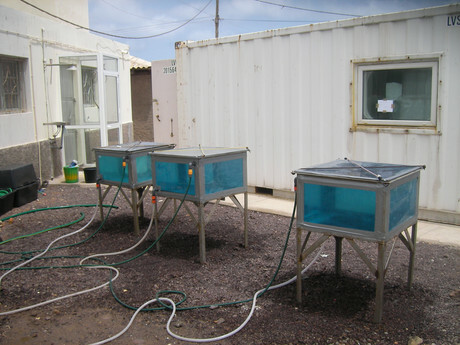 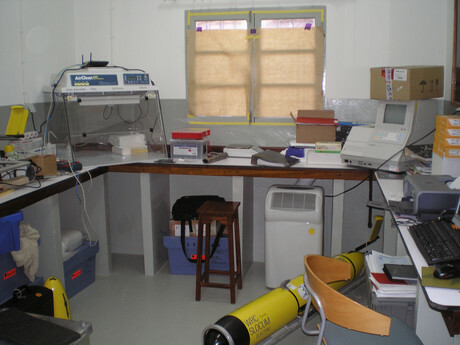 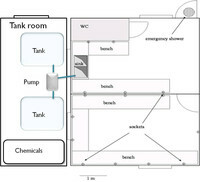 It is operational since July 2007, and is divided in two parts, a wet and a dry lab. 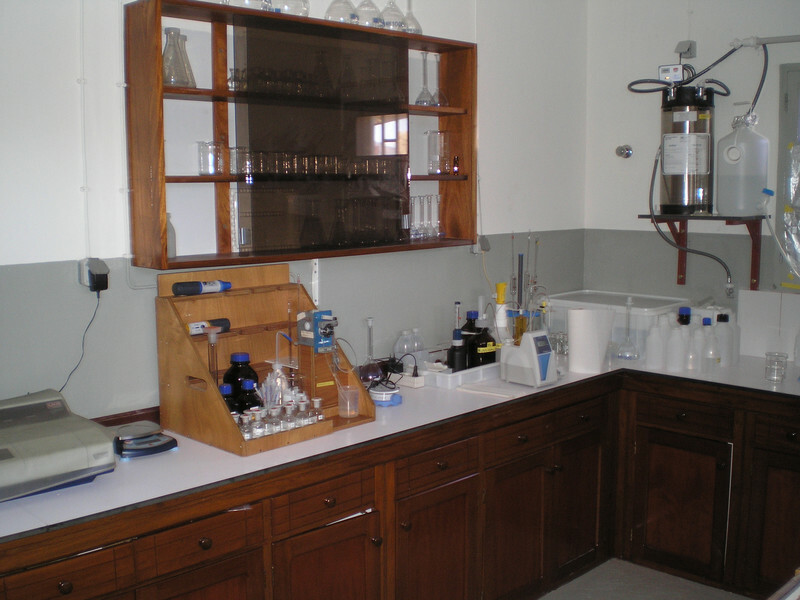 The laboratory is equipped with chemical resistant benches and sink, air conditioning, deionised water, a laminar flow hood, spectrophotometer and fluorometer. It is possible to analyse dissolved oxygen, nutrients (manual method), and chlorophyll. 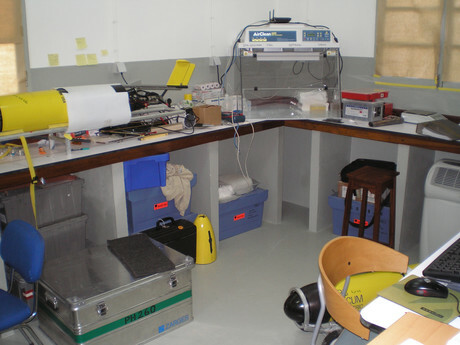 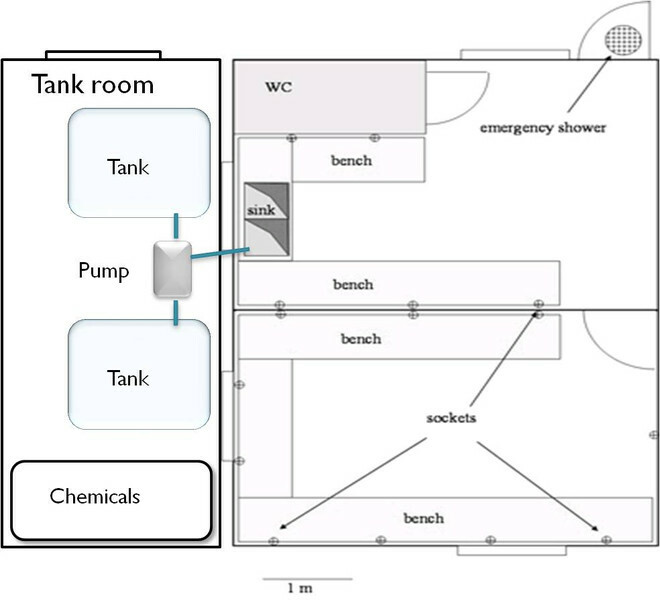 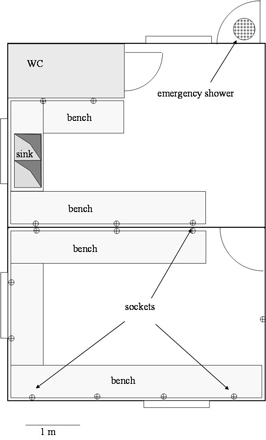 There is enough space to set up your on lab containers. Electricity connection can be provided.